I was done with Mass Effect. After three massive RPGs of planet-hopping, alien befriending, Reaper-thumping goodness, I’d more than had my fill of BioWare’s sci-fi shenanigans. Yes, the way it ended disappointed me, but the memories of surviving the Collector base, curing the Genophage, and a dozen other amazing moments more than made up for that, and I had zero desire for more. Then along comes Mass Effect: Andromeda, promising an entirely new adventure. A new galaxy to explore, new races to interact with, new characters. Alongside this it had a bold vision to unite the character-driven storytelling and thunderous combat of Mass Effect’s 2 and 3 with a broader, more comprehensive version of the planetary exploration from the original Mass Effect. In spite of my sense of closure, I was intrigued. Perhaps there was room for more Mass Effect in my life after all. Sadly, the promise that Andromeda offers stands in stark contrast to the reality it provides. What we have here is not so much a new adventure but a rehashing of old ideas in a looser, baggier, overall less compelling package. There are moments of wonder in exploring its vast alien worlds, and thrilling battles to be had against ragtag space bandits and a new, galaxy spanning threat. But they are not enough to override the sense of inertia and missed opportunity that permeates BioWare’s latest RPG. The premise is tantalising. 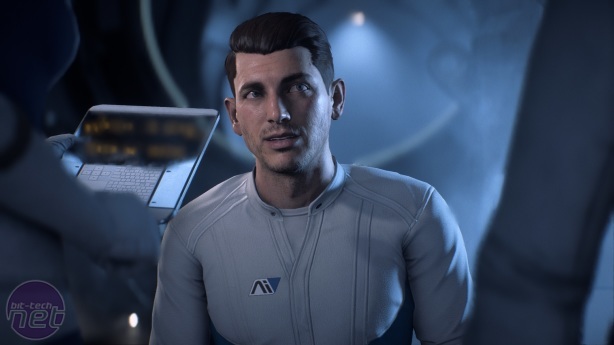 Mass Effect Andromeda has you assume the role of a Pathfinder, the vanguard of the large contingent of humans and aliens who make the 600-year journey across dark space in search of a new home in our neighbouring galaxy. The Pathfinder’s job is to scour the galaxy in search of suitable planets for habitation, and then prepare them for colonisation. Yet when the Human Ark vessel Hyperion arrives in Andromeda, the situation is not what they expected. The planets selected as potential habitats have been rendered inhospitable by a dangerous galactic anomaly dubbed the Scourge. The Arks of other species are missing. Their meeting point, the Nexus, is unfinished. To cap it all, the pioneers are immediately attacked by a hostile alien species called the Kett. In other words, there’s lots of work to be done, and naturally it falls on the shoulders of your character, either Scott or Sarah Ryder, to do it. The key change between the original trilogy and Andromeda is its adoption of an open-world structure. 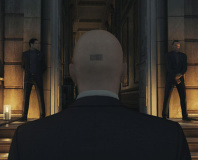 Or to be more precise, open-worlds structure. Your search for habitable planets takes you to several huge environments that would easily form the basis of entire games in and of themselves. They are exquisitely designed too. 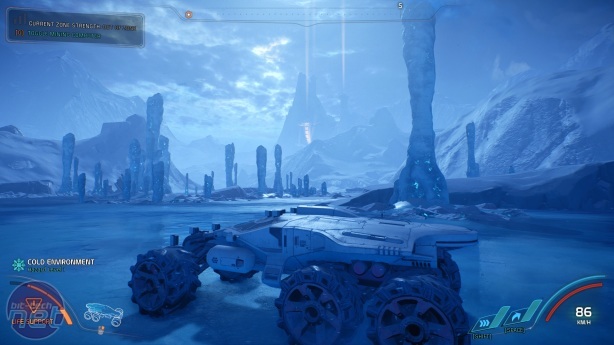 Voeld is Hoth-style ice-world, its frozen lakes and snow-covered mountains are pummelled endlessly by the planetwide blizzard. 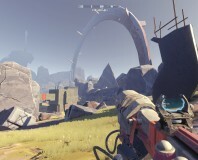 Elaaden is the complete opposite, a searing desert-planet home to oceans of sand dunes and towering rock formations. Dominating the landscape is a massive starship that crashed centuries before your arrival. 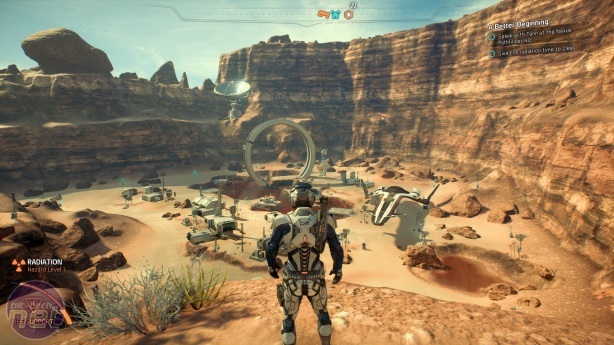 Rick looks back at BioWare's landmark series a decade on from release. 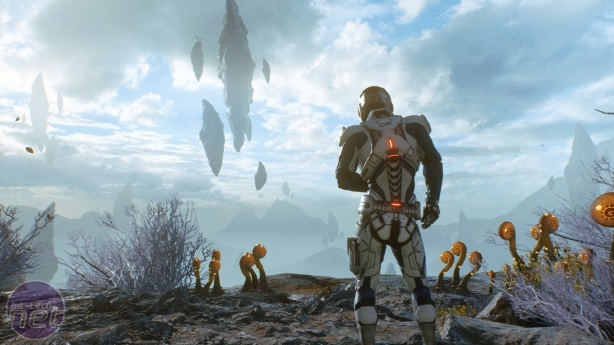 BioWare pauses Mass Effect development, too. Boasting incredible art design and an eerie atmosphere, Tölva is let down by shallow systems.